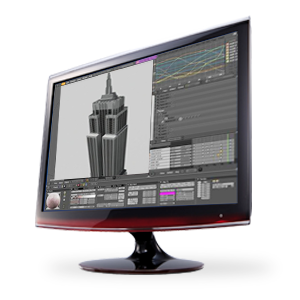 Optimize Ideas into Ready-to-Print Virtual Designs Our 3D designers and modelers will digitize any object in the form of industrial designs, concept models, high-poly and low-poly models, and 3D models with texture and color. Before printing, each model needs to be translated into a format suitable for any 3D printer. Before printing, each model needs to be translated into a format suitable for any 3D printer. Ultimately, the images are optimized specifically for 3D printing. We can deliver files in .obj and .stil formats. 3D2Go creates objects in a virtual setting. We optimize your ideas, and the result is a 3d drawing that when processed turns into an accurate 3D model. The design is saved in easily viewable files for everyone to see. If you want to create an industrial design, a 3D house design, or a concept model, count on our highly trained and knowledgeable designers and modelers to do it for you. We proudly say that our service is being felt across all industries, including architecture, engineering, manufacturing, advertising, marketing, gaming, and more. Back in the day, developing prototypes took a huge chunk off the company’s funds, not to mention it was extremely time-consuming. Companies also run the risk of launching a product that isn’t fully optimized, and a great deal of the blame is pointed to the designer. As a product designer, 3D technology is your best friend. It makes your life easier, not only during the design but also in the review process. Now, tasks like rendering photorealistic images, test and validation of designs, and management of design data are a lot less complicated. Internal design review is more effective that even non-CAD-trained professionals can participate. Should there be a presumed glitch in the product, it is seen and rectified before it is printed. This reduces costs from quality issues. Late design changes can also be incorporated easily. In any industry, 3D design streamlines the drafting and manufacturing processes. Because the product is developed and introduced to the market on schedule, you get client feedback fast so you can work on improvement for future designs. That is what we want at 3D2Go: to make sure you are ahead in every aspect of the business. From the creation of the first commercial CNC programming system to the introduction of the first significant CAD program, man’s sterling work has effected a wide range of industries. However, designs back then were largely 2D. The entire design landscape changed with the launch of a CAD program that was based on solid geometry. It featured parametric techniques aimed at defining parts and assemblies. By this time, it became more pronounced that there are tasks 2D CAD couldn’t handle, and it didn’t take long until history-based parametric CAD programs were developed. The impact of 3D design in product lifecycle management has been phenomenal that it is now universally adopted in terms of product development. We are at a day and age where anyone who as an idea can put up a business and generate profit from it. It doesn’t even matter if you don’t have the equipment and machinery, because at 3D2Go, we make it possible. We support entrepreneurs and all business owners, no matter what field or sector.